1. 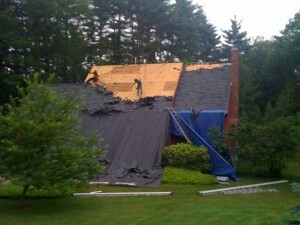 ROOF REMOVAL AND DISPOSAL- Your roof will be completely stripped and disposed of. All landscape elements will be protected and thoroughly cleaned. The entire property will be “magnet swept” to ensure all nails are picked up . A construction dumpster will be place in the driveway, close to house. We will not impede garage entry if possible. The dumpster will be placed on pressure treated wood to protect the driveway. Dumpster rental and cost to remove debris are always included in the price of roof installation. Dumpsters are removed immediately upon completion of work. Maintaining and respecting our customers landscape is a crucial part of our roofing process. 2. ICE AND WATER SHIELD INSTALLATION- We install, standard on all roof contracts, 6 feet of ice and water shield to insure against ice dam penetration. In problematic areas of the roof we install complete ice/water shield. These areas will be pointed out specifically on our free estimate. Chimneys and skylites also get wrapped completely with the highest grade of ice water shield. Where the ice/water shield ends, we install a synthetic underlayment. This allows proper attic ventilation,and superior adhesion of roof shingles. A high quality synthetic roof underlayment also provides superior traction for the roof installers, as they are designed with safety of roofers in mind. 3. 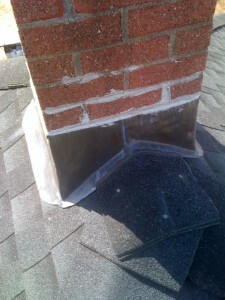 VENTILATION- Proper attic ventilation is crucial to a properly installed roof. We install RIDGE VENTING to properly ventilate the attic. We will also inspect soffit ventilation and if necessary, add ventilation here as well. 4. DRIP EDGE/STARTER COURSE- We install 8 inch aluminum drip edge around the entire perimeter of the roof. We will always try to coordinate the color of drip edge to the wooden trim mounted along the rake board/fascia boards in order to provide an elegant professional appearance. A starter course is always installed over the drip edge to provide proper adhesion of the roof shingles,as well as provide a protective barrier in cases of high wind storms. The starter provides this protection. Our roof installations can last under extreme high wind conditions- guaranteed. 5. CHIMNEY- Chimneys are the most susceptible area of a roof for water penetration,so this is where we place maximum protection. The area around the chimney will have ice and water shield installed around entire perimeter of plywood, and ice shield will be installed up the bricks of chimney at least 6 inches. We will also remove the existing lead flashing embedded into bricks and install brand new lead flashing and seal it thoroughly. 7. SKYLITES- Skylites, like chimneys are often susceptible to water penetrations. We place great emphasis on this part of the job. Skylite work is always handled by our top installers. The skylite is wrapped on all 4 sides with Grace Ice and Water shield. The glass of the skylite is always inspected and sealed with a commercial grade silicone,and we always clean the glass while we are up on the roof. 6. VENT PIPES- All vent pipes will have new vent pipe flashing and ice/water shield installed. All pipe flashing sealed thoroughly as well. 8. 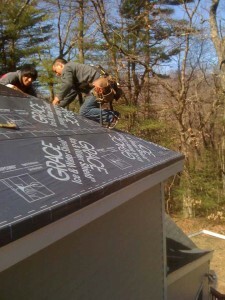 ROOF INSTALLATION- We use two brands of roof shingles. GAF and CERTAINTEED. We are certified roof installers for both manufacturers and thus are able to provide lifetime warranties on all roof installations. 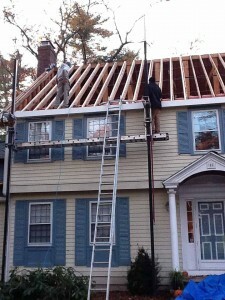 We are licensed roofers and install each shingle 4 nails per shingle. 9. CARPENTRY REPAIRS/ADDITIONAL SERVICES- We employ 2 professional carpenters,and do extensive carpentry work. Most roofs require new plywood in certain areas as well as wood trim replacement. We are experts in this area and will always provide first class repair work. We also install gutters,skylites,and provide many other contracting services. 10. WARRANTIES- There is a lifetime manufacturer warranty on all roof installations. You will receive a written transferable lifetime warranty upon completion of the project direct the from the shingle manufacturer. This is a transferable warranty, adding to the value of your home. MAGEE ROOFING provides a labor warranty as well. Our standard warranty is 5 years and covers all labor and materials.